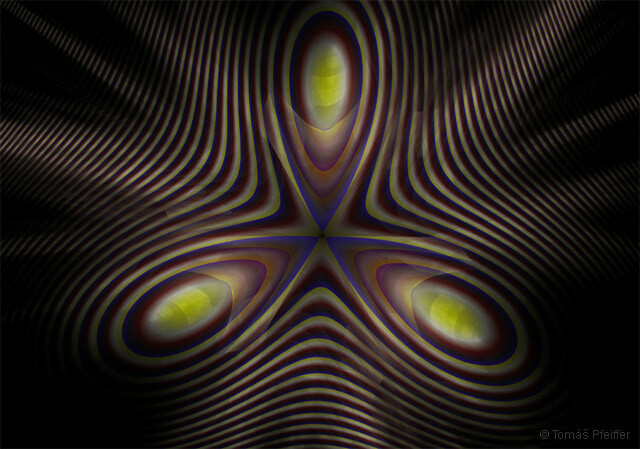 Singularity (Fig. 6) can be assigned to each XYZ axis, which brings another level of spacetime formation – “holey sphere” (Fig. 10). Since it holds true that the observer along with their interval origin can be located anywhere, the vector of XYZ axes can also be directed anywhere into infinity. Euclidean axes are determined by the origin of interval. Provided each axis is assigned to a corresponding singularity of the horizon of cognition, an infinite number of singularities will emerge in their relativistic indefinite form with a common “zero” point. The result of the horizon of cognition is a perfect, infinitely large sphere. 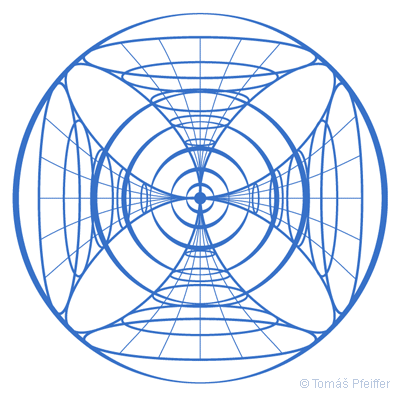 This then is the projection of a finite into an infinite – a relation between three- and four-dimensional space. 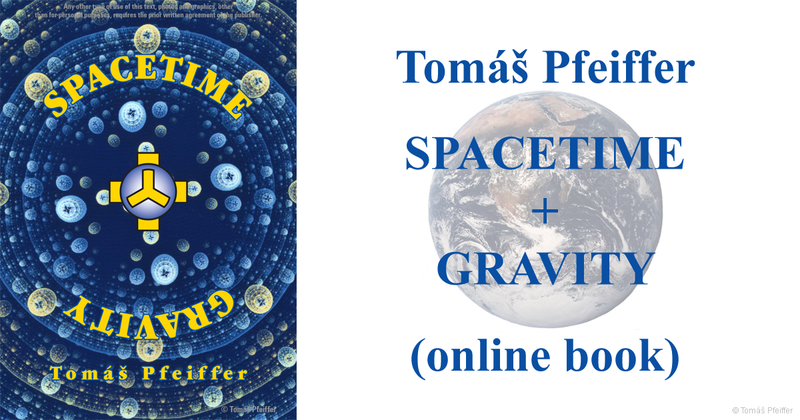 Infinite space suggests a seemingly finite appearance at the location of the interval origin. Like all spaces: one-, two-, three- and four-dimensional space do include each other. It is logical, after all, should something originate out of nothing in nonmanifestation where spacetime is not perceivable, and yet everything that exists is still present there in another form, this “nothing” has to pass through the one-dimensional space of the infini-tely small point towards the first division – duality in the two-dimensional space, and onwards. Thus, the first duality emerges – the split into the first two points that we can call EI and UA – initial spacetime. In Josef Zezulka’s Creative Four 1 , this period is extremely short. Those two primary points immediately divide into four, in accordance with the law of duality that itself must be self-applicable as well. This creates cornerstones of everything that exists in spacetime. We identify the cornerstones as the vowels E, I, U, A. We can talk about the genesis of the three-dimensional space. A serpent is symbolically eating its own tail; thus, initially there is the infinity that is unmanifested into time and space – “the undivided”, and at the end there is the infinite “divided” spacetime, just before merging into its original form. This happens in an existential episode of universe, for us cycled by the causal horizon of cognition in an endless rhythm of universes.